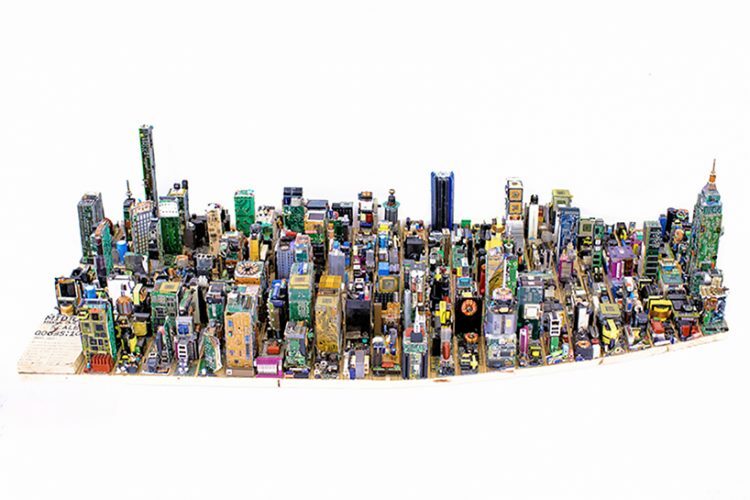 Zayd Menk, a very patient artist from Zimbabwe, spent three months building a 0.0635:100 scale model of Midtown Manhattan out of discarded computer components. 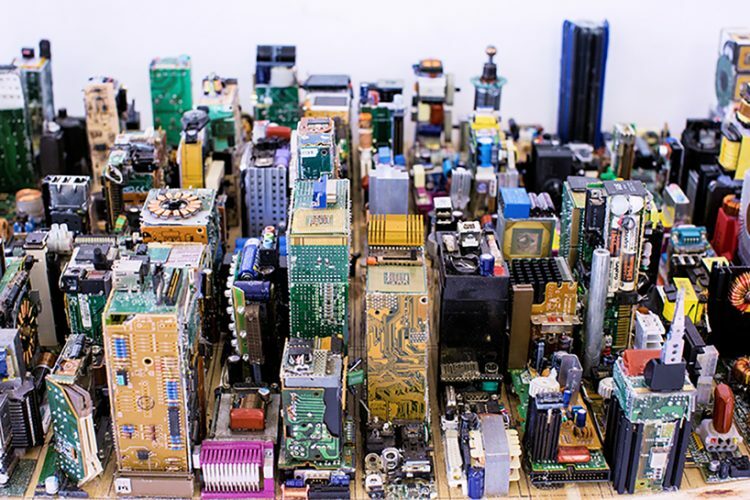 The 17-year-old artist, who made the model for a school project, used 263 sticks of hot glue, 27 motherboards, 11 CPUs, 10 CRT monitor motherboards, 18 sticks of RAM, 15 batteries, 12 Nokia E-series phones, 7 power supplies, 4 watches, 4 audio cards, 3 hard drives, 2 telephones and various other electronic components to create mathematically sound versions of Manhattan skyscrapers and buildings. 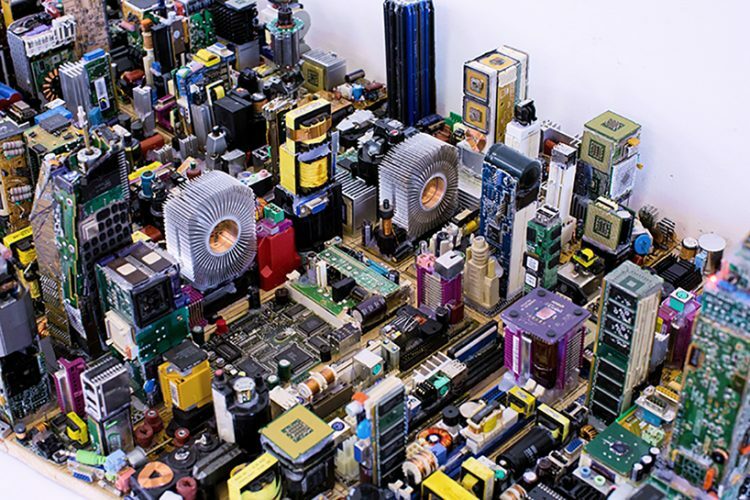 To do this he spent much of his time collecting data from sites like Google Maps, Wikipedia and Reddit, and then making calculations to ensure that all miniatures were to scale. 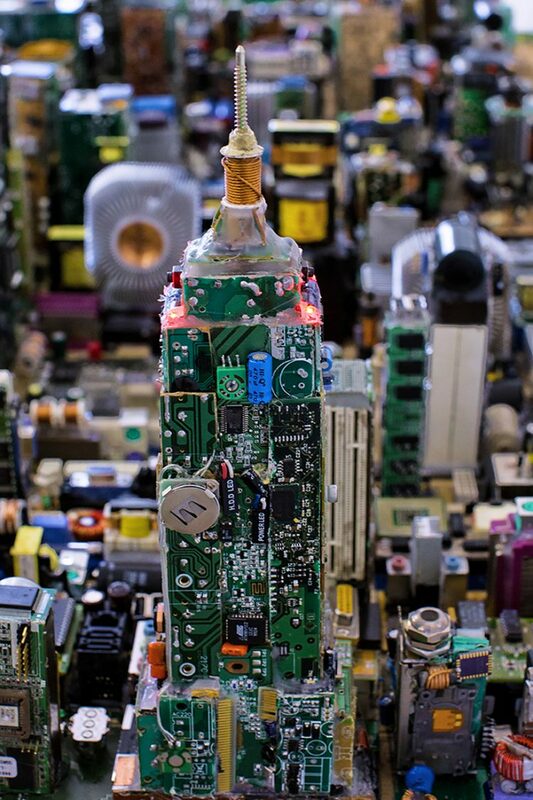 “I remember the Bank of America tower took me two days to make, trying to figure out all those different angles,” Zayd Menk said, referring to the difficulties he had recreating Manhattan’s iconic buildings out of discarded electronics. 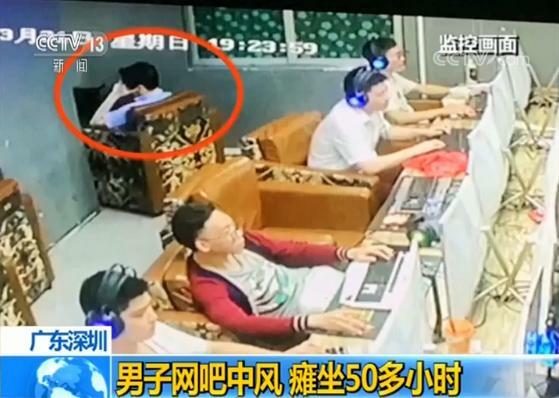 With such an abundance of electronics used, it would have been a pity if none of it worked, so the young Zimbabwean made sure to have the Empire State Building light up with the help of 4 LEDs. 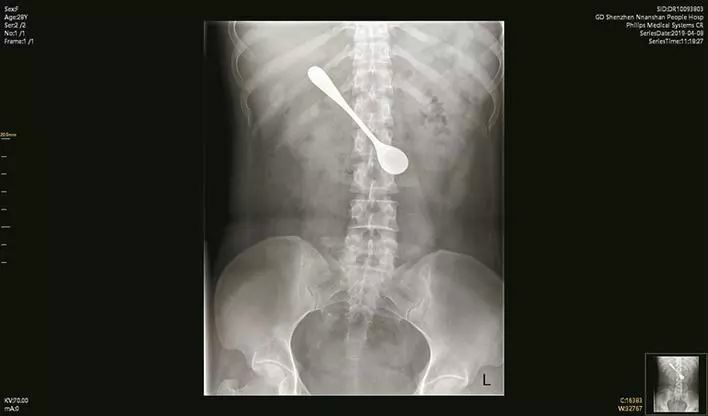 Zayd refers to his art as “recyclism” and describes it as “exploring how man-made junk can be used to make art”.